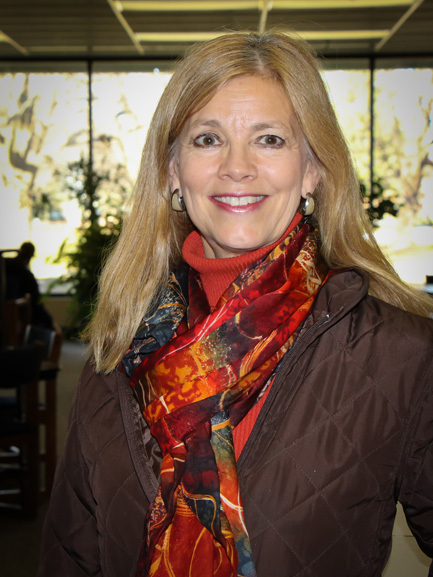 Cindy Eyberg is the Interlibrary Loan Assistant and is NIACC’s International Student Liaison. Cindy was born and raised in Oakland, IA. She joined the NIACC library staff in 1999 and earned an AA in Business from NIACC in 2012. She fills loan requests for all types of libraries (and all types of NIACC community members!) and assists our patrons with locating material within our library. 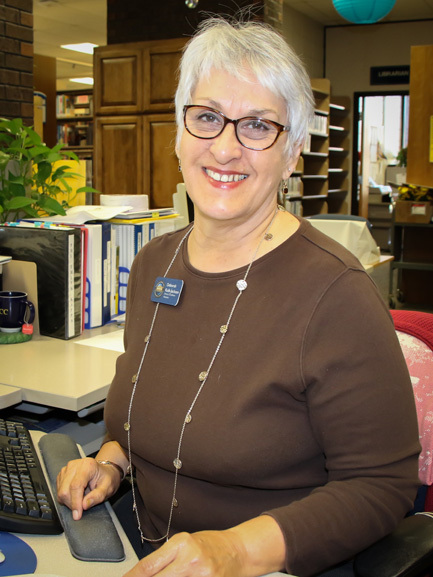 She helps the community use our library’s databases and other electronic resources, and is responsible for planning and creating displays and crunching numbers on our interlibrary loan service. Cindy worked over twenty years in retail and is a mother and grandmother of five. She enjoys spending time with her family, swimming, traveling, reading, and playing the piano. Deborah Kolb-Jackson is the library’s circulation assistant. Deborah was born and raised in north-central Iowa. She earned her degrees from Mankato State University and began her professional life as a high school English teacher, and later as a librarian in the southern Minnesota colleges/universities, and on the Rosebud Sioux Reservation. Deborah assists our patrons with circulation needs, as well as locating and use of materials. She also instructs patrons in use of electronic resources. Deborah hires, trains and supervises the library’s work study students. She is responsible for generating monthly statistics, over dues, places holds on transcripts and is responsible for instructional reserves. Deborah is also the contact advisor for NIACC’s Phi Theta Kappa chapter. She spends her free time with her family, enjoys traveling and loves to read. Kim Kraus is Library Associate specializing in serials wrangling. She attended Hamilton College, and has worked for NIACC in various roles since 1982, making her almost a NIACC lifer! She works with the college archives, wrangles serials, weeds and assesses the print collection, and works closely with our student workers. 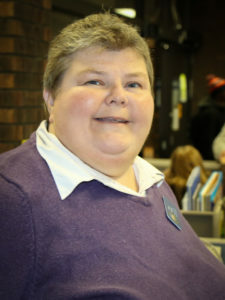 Kim was born and raised in Mason City and in her off hours spends time with family and reading fiction. Her favorite author is Vicki Lewis Thompson.